It is important to keep a diary, so you can identify the triggers and avoid them as much as possible. Every single time you experience a new episode, write down in your journal the date, time, what did you do and eat 24 hours before (and how much water you drank), how well you slept, and how as the stress levels. Talking about the diet, consider two things: the foods you ate, and if you did eat regularly. Common dietary triggers include chocolate, peanut butter, avocado and bananas, processed meats, additives like MSG, aged cheese and other tyramine rich foods and fermented or pickled products. Also keep track of those periods when you experienced less symptoms – did you sleep better the night before, did you exercise? 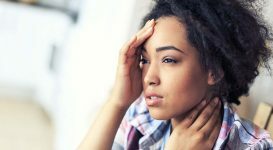 Avoiding smoking, strong fragrances as well as caffeine and alcohol also help prevent migraines. If the migraine has already started, you should rest in a quiet, dark, fragrance free room and drink plenty of water. You may already have these remedies at home, so why not try using them – they often help. 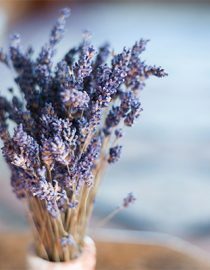 Lavender oil can be used for both tension headaches and migraines, either inhaled or applied on the face and neck (never take it orally) Although you don’t have to dilute it when applied on the skin, you should combine a few drops of lavender oil with 2-3 cups of boiling water when you choose to inhale it. Like lavender oil, peppermint oil helps improve the blood flow in the body and head because promotes the opening and closing of the blood vessels. In addition, this oil also helps you breathe better, which translates into more oxygen in the blood and relaxes the muscles. Studies reveal that a massage can help improve the symptoms. For best results massage the area of the back of the head right at the base of the skull (corresponding to the greater occipital nerve). 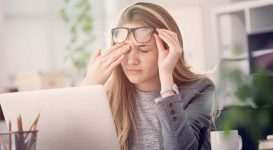 You can also try some reflexology and acupressure for migraines – talk to a healthcare provider specialized in these therapies and learn those specific points that should be pressed during an attack. 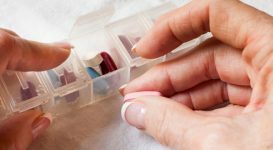 Butterbur (50 – 75 mg of a standardized extract 2 times daily) had been found beneficial to decrease both the frequency and the length of an episode, if taken on a regular basis for four months. Feverfew (taken in daily doses of 50 – 80 mg for four months as well) also had been associated with a significant reduction of painful episodes and fewer symptoms. 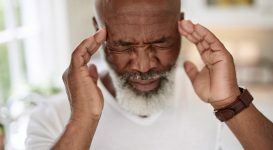 Other natural supplements that are useful for migraines are 5-hydroxytryptophan (5-HTP, 400 – 600 mg per day (some studies found it as effective as some prescription drugs), the mineral magnesium 200 – 600 mg per day) and vitamin B 2 or riboflavin (400 mg per day). 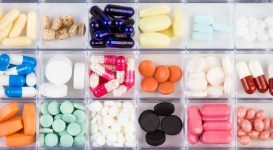 Before taking supplements, talk to a healthcare provider to learn more about optimal dosage, safety and possible drug interactions.